A famous TV advertisement for Heinz baked beans has been banned for comparing its nutritional value to a branded protein shake. 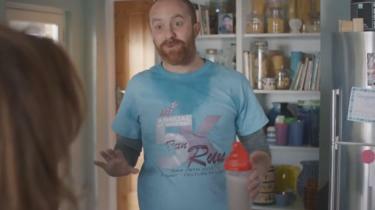 The commercial was first displayed in February.It showed a lady was implying a bowl of baked beans has as much protein, fibre and fat as her partner’s drink.It was prominently indicating towards a prominent brand’s protein shake and even the viewers had no trouble in realising it within seconds. The Advertising Standards Authority (ASA) said its rules do not allow claims that one food has “as much” nutrients as another food. It also mentioned that no brand can compare with other companies directly or indirectly but this regulation has been violated again for the second time . Heinz Foods mentioned with utter disappointment that it was a huge mistake on their part and that they would not run the ad ever. It is the second time that ASA ( Advertising Standards Authority) has upheld a complaint against this same company for misleading viewers and bringing down other brands.This time they made it very clear that nuisance like so would not be tolerated . The previous version of this baked beans ad, was banned last year.In that ad, the woman used the word “same” when replying to her partner’s suggestion she was about to consume something of high protein and fibre but low in fat. That word was removed from the second version, but the ASA said the message had not changed and implied the same meaning. The agency said viewers would still understand the exchange to show baked beans were “a tastier and more appetising, but nutritionally equivalent, alternative to consuming a protein shake”. A Heinz spokesman broke the silence after a long and said its advertisement is”simply aimed to be a memory jogger about the goodness of beans in a humorous way”.But everyone could guess that it was a white lie and no at all an impressible justification. Next: UK Heatwave Causing Severe Problems.